South Korean electronics giant LG has stated that it expects to have their first WP7 devices on shelves by the end of September (a rumor we heard about in February), with more by the end of the year. 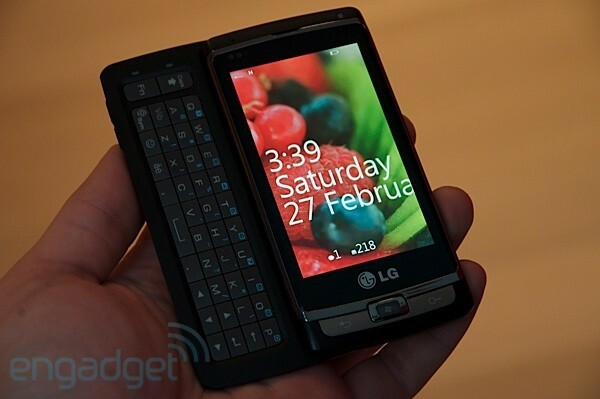 Reputedly, the first phone one that has been shown on the gadget blogs (this one, maybe? ), is “ready to go”, and will hit launch in September as the first device in the companies WP7 line. “We have a deep relationship with Microsoft so expect to have a couple by the end of this year,” said Ken Hong, an LG representative. LG isn’t putting all their eggs in one basket either, and still plan on supporting Android to the best of their abilities.